I've got a lot to confess today, so let's get to it, shall we? 2. More about the fabulous store above in a post next week! MY WORD at the gorgeous items, y’all. 4. I made chicken and dumplings on Monday night because my dear, sweet husband has been craving them forever and I was feeling extra domestic. Two words: FOOD. FAIL. The dumplings were chewy like rubber, the broth was thin and the flavor was wonky. I usually fancy myself a pretty decent cook, but wow…it was bad. Professional sports stars that lead a clean and decent lifestyle are few and far between anymore, so Mr. Tebow – just keep doing you. 6. I'm already getting pumped for the BCS National Championship game! I'm over the moon that two SEC teams are going this year. Which one will I root for? a) I've always had a thing for 'Bama. They're my 2nd favorite team, next to our Hogs. looooooove that dress! looks so good on you! Ummmmmmmmm I've always wanted to be a DCC! I looooooooooooove watching that show! ROLL TIDE! 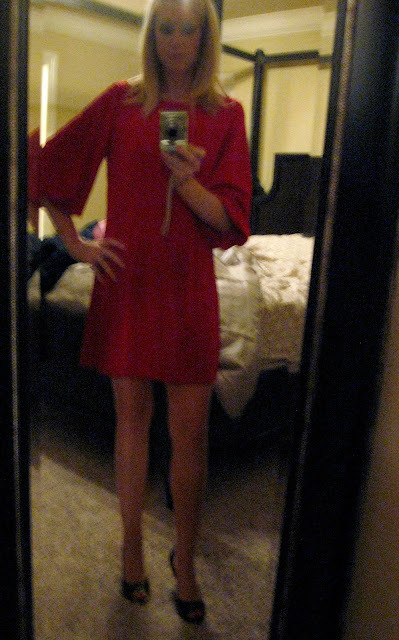 :) Love the dress!!!! I "confessed" about Tebow too! It seems he's everywhere these days. As a Seminole I just can't love him though!! I have a really great (and super-easy) chicken and dumplings recipe if you're interested :). I won't get to watch DCC tonight either! In fact; I don't think I ever watch it on Friday nights. I would sooo looove to put on one of those uniforms too but like you well past my prime. Even more past then you!!!! 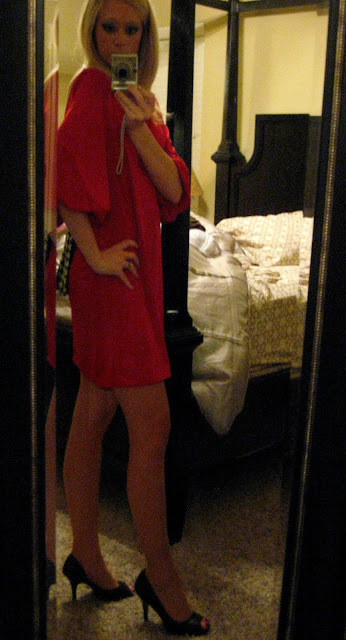 Love that red dress. Have a good weekend. Love that dress! I LOVE the DCC: Making the Team! I love all those girls on that show and you should TOTALLY get a DCC outfit to wear around the house! I may be right there with you!! Hubs loves Chicken and Dumplings too (I'm not a fan really) and I finally made them for him the other night. Found this recipe on a blog and it was very easy. Enjoy! 1. Place the chicken, soup, butter and onion in the slow cooker. Then fill with enough chicken stock to cover. Girl, get you some canned biscuits and pinch off little balls of them and cook them in the soup. They will blow you AWAY! Not only does she make fabulous frozen biscuits, she does dumplings as well. They aren't thick gooey kind either (which should totally be a crime). LOVE Tim Tebow and I think it is 100% okay to buy the DCC uniform. 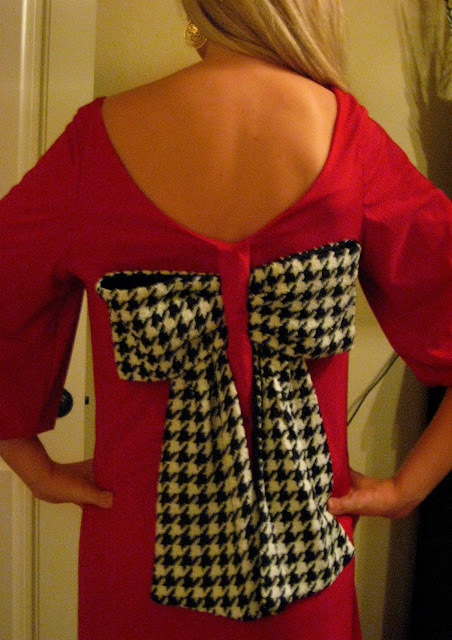 that dress is so bama =] and please get the outfit!! I love that Alabama is your second favorite team :) Roll Tide! Darling dress and love the back! Dumplings sound yummy and that was sweet of you to make it for your hubby!